When my clinic decided to hire a Peer Worker, the mood was suspicious. Change had always been a bad thing there, something to worry about. I’d started on the program at my clinic way back in the early 1980s. In those days they gave you naloxone (Narcan) and if you hung out badly enough, they would start you on methadone. The clinic was staffed by experts who had your life in their hands. Think Nurse Ratchet in “One Flew Over the Cuckoo's Nest". Speed through to just a few years ago. Though some things had improved, the service still felt punitive and a lot of people felt they were treated like children. Dosing hours were cut shorter as caseworkers and doctors disappeared without notice. Any request was met with eye-rolling and a reminder that you should feel privileged to be dosed there. Ask for a takeaway and get ready to jump through hoops. We actually were grateful for the service -- but we also noticed that nobody expected people on other medical treatments to make a big display of being grateful. It wasn’t that staff were doing a terrible job or were deliberately nasty, because generally people working with marginalised communities have good hearts. It was just that there'd never been any communication between service users and the service, and we had never had a say in things that were central to our lives. From our point of view, it had just never occurred to anybody to 'take a stand'. Often, we felt like we were pushing it just to be heard. 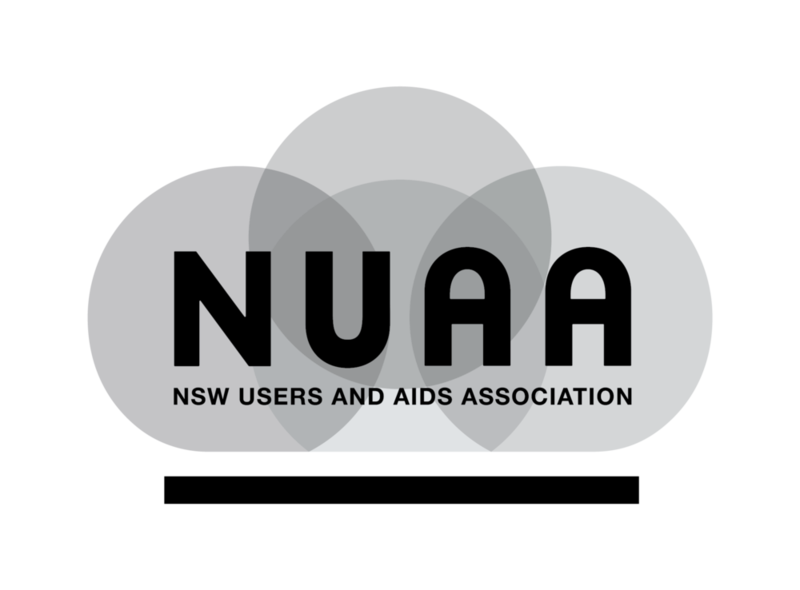 Things changed when our clinic got together with NUAA to hire a Peer Worker. After the usual process of applications and interviews, I was hired to do the job. The first thing I had to work out was how to represent the majority. My clinic prioritises people who are at risk in terms of drug use, living arrangements, mental health, transition from jail and so on. Most of our consumers were already dealing with a lot and getting people along to meetings wasn’t going to work. Instead, I literally sat in the waiting room and talked to people one at a time or sometimes in small groups to ask about their concerns. As it happened, we all agreed on the big stuff. We recognised that we had to deal with aggression and tension in the waiting room. This anti-social behaviour had evolved over time and gone unchallenged. To turn it around, we began to own our own space and take pride in change. We decided on waiting room etiquette. Waiting at the clinic became a lot less stressful than it had been and security guard appearances became rarer. Meanwhile, I worked on building trust of the staff. It was a gradual process. The next step was to pool information around health improvement and we began to share our experiences of our own clinic, the hospital and the wider health and welfare system. I talked with consumers about how to get the most out of a caseworker and how to iron out misunderstandings with clinic staff. A large part of my job became helping people to access services, including navigating government departments. People got onto Centrelink payments. A few got housing and others found services they needed. I also shared information around blood borne viruses like HIV, hep B and hep C. NUAA had previously had a hep C worker on site and following in her footsteps I encouraged people to access services attached to the clinic for testing and treatment. Because of the new processes and medications, people were getting cured. Simple information sharing had an amazing effect on people’s lives. The more people learned about our own services and the more information people collected and shared, the more things moved in a positive direction. With those wins, the culture began to change. People started coming to me. More importantly, they started talking to each other. They began to learn that they did have choices and started to speak up for themselves in a way that got them heard. I learned to listen, so I could figure out what people really wanted -- not what I thought they needed. I learned to listen to all kinds of people and give my help to everyone -- whether they were easy-going or not. We all found we had more in common with each other than we thought. One of my big lessons has been around learning not to overextend. We all want to help but sometimes you have to keep expectations realistic. If you offer things you can’t deliver even with the best intentions, you can unwind months of work. Very slowly, the service users and I changed from a dysfunctional, stressed, institutionalised group of people who shared a room while we waited to get dosed into a respected, respectful and smiling community of people who had so much more in common. During the HIV/AIDS crisis in the 80's, it was peer education and peer engagement that saved many lives. It led to one of the world’s first needle and syringe exchanges and outreach services -- a huge achievement that clearly illustrates what can happen when people work together. Do Peer Workers help change things for the better? You better believe it.